Kevin Burns has worked in the jewelry industry for over 30 years, primarily as a diamond buyer and appraiser of estate jewelry. 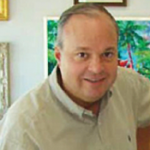 As previous owner and president of Tampa Gemological Laboratory (an independent appraisal company) and founder of Southern Estate Buyers and Appraisers, Kevin has developed a passion for antique and estate jewelry. This knowledge and his acquired customer base were the guiding force in the decision to open Associated Watch & Jewelry Buyers, a company dedicated to acquiring an inventory of selected jewelry pieces with the emphasis on quality and value. 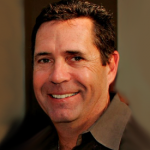 Joe Huchro has over 30 years of experience in the precious metal, jewelry and watch industry. His knowledge of watches has made him a leading expert in the Tampa Bay area. With vast contacts in the industry, and his love of fine, collectible watches, Joe will guide you in choosing a fine watch, or in selling your own piece. 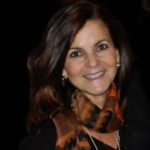 Mabel Burns brings a lifetime appreciation of antique and modern jewelry to the company. Her ability to find and match a piece of jewelry with a client is her forte. Whether helping to find the perfect engagement ring, fine watch, a fine vintage piece of jewelry or helping you re-design an inherited piece of jewelry into something you’ll always wear, Mabel is the customer service, go-to person. Fluent in Spanish too! Carl Hammond is the ‘hands’ behind the scene. 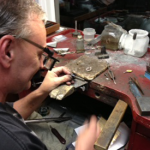 Carl is a Master Jeweler with over 25 years’ experience in custom jewelry making. He is an expert diamond setter, and will create jewelry to your special design, or repair even the finest of jewelry pieces. One of few jewelers that you can entrust with a family heirloom! 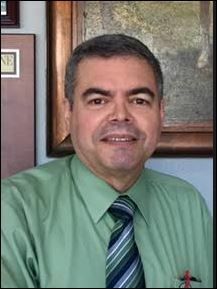 Eric joined the company after a 26 year career at Magnon Jewelers. His sales and merchandizing experience, also, included working at Gerrard Jewelers and The Home Shopping Network. He has certification from the Gemological Institute of America in Diamond and Colored stone grading. Many of Eric’s former clients are happy to have found him working at Associated Watch and Jewelry where fine quality jewelry is sold at unmatched prices. El habla espanol! !